Game of Thrones is a global phenomenon that has attracted record viewing figures for HBO and won a huge international fan base as well as collecting numerous awards and nominations. But surely a fantasy involving dragons, ice monsters and heads on spikes is about as far from the world of business as it’s possible to get, isn’t it? 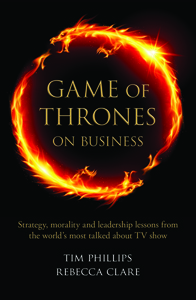 In Game of Thrones on Business Tim Phillips and Rebecca Clare present readers with a fascinating and entertaining take on the hidden leadership and management lessons the drama contains. The authors take particular storylines and demonstrate how we can learn from the successes achieved and (more often) mistakes made by the characters involved. Drawing parallels with modern business examples the authors illustrate that far from merely being the most entertaining programme on TV Game of Thrones is a business tool par excellence for everyone from management trainee to CEO, in organizations from SMEs to global corporations. 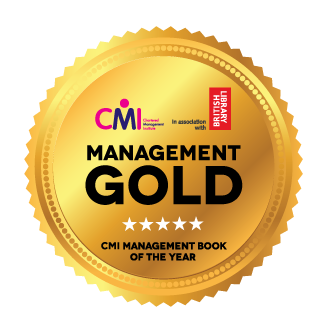 Game of Thrones on Business has been shortlisted for the CMI Management Book of the Year 2016, in the ‘commuter’s read’ category.